Stay a step ahead of the competition in the TYR Men's Ignis Jammer Swimsuit. Constructed with TYR's most durable textile, Durafast Elite® - the SIG7A performance swimsuit utilizes high denier poly fiber and innovative circular knit construction to combine the strength and colorfastness of polyester with the comfort of spandex. 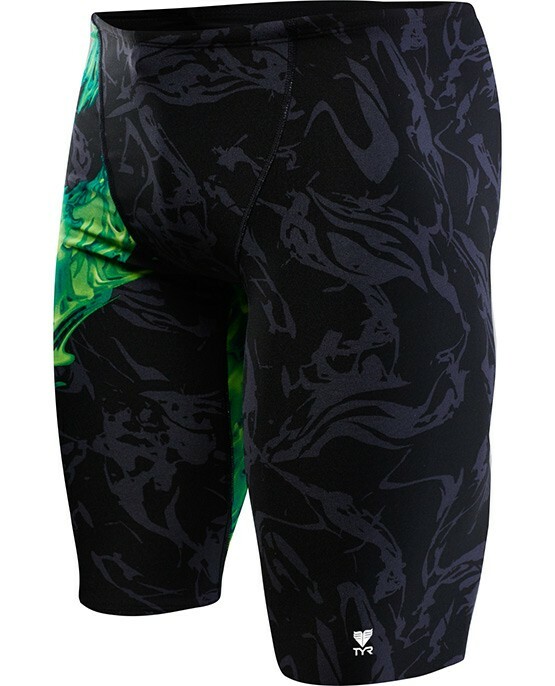 TYR jammer swimsuits stop above the knee and feature both a compressive fit and adjustable drawcord waist. A championship cut and bold print amplify the suit's highly technical appearance. Allowing for unrestricted mobility, the jammer is ideal for athletes who want reliable coverage during every swim. Nice fit!! Really like them. This is the only "Jammer" my husband will wear...great for swimming, does laps daily, fabric comfortable, easy to wash.